passed away in her 97th year. 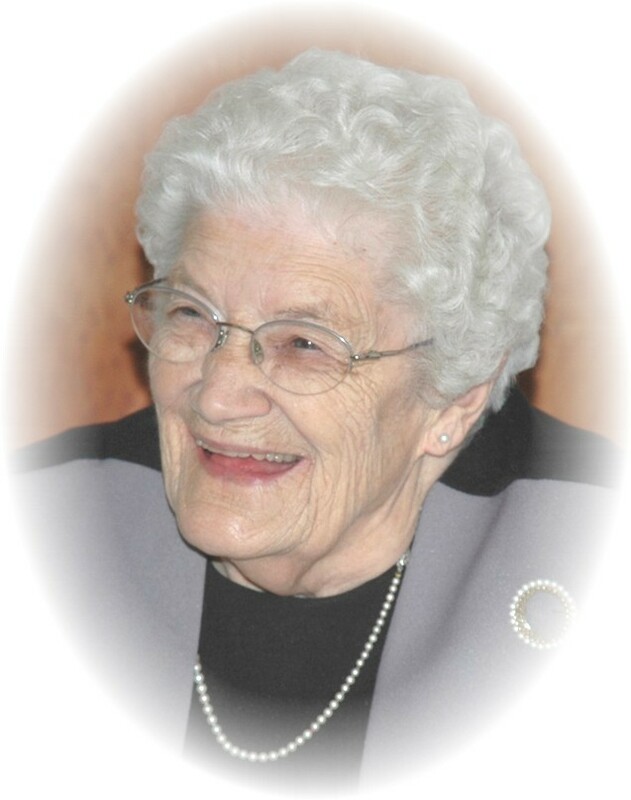 Beloved wife of Franklin Davis for 63 years. Cherished sister-in-law of Elizabeth Morris. Dearly loved aunt of Anne Hamor (George), Susan Olson (Brent), Bill Morris (Janet), John Morris (Lorraine) and Ruth Bengough (Peter). Very dear great-aunt of Alex Hamor (Suhaila), David and Michael Olson, Adam Morris, Aidan Morris, and Megan and Cameron Bengough. Daughter of the late William and Cora (née Gibson) Morris; predeceased by an infant brother, Stuart, and a younger sister, Edna, in childhood. She was also predeceased by her beloved brother, William Keith Morris (June, 2008). C R. Gamble Funeral Home & Chapel Inc.
for visiting on Tuesday, from 1 o’clock, followed by a service in the Gamble Chapel at 2:30. Interment to follow, Auld Kirk Cemetery (1923 Ramsay Concession 8, Almonte). Reception afterwards at the Royal Canadian Legion, (100 Bridge St, Almonte). Should anyone care to make a donation in memory of May, please select a charity of your choice.